Every kid needs a warm pair of winter boots, especially in New England. That’s what KIDS ‘n BOOTS is all about – helping put warm boots on the feet of children who need them. 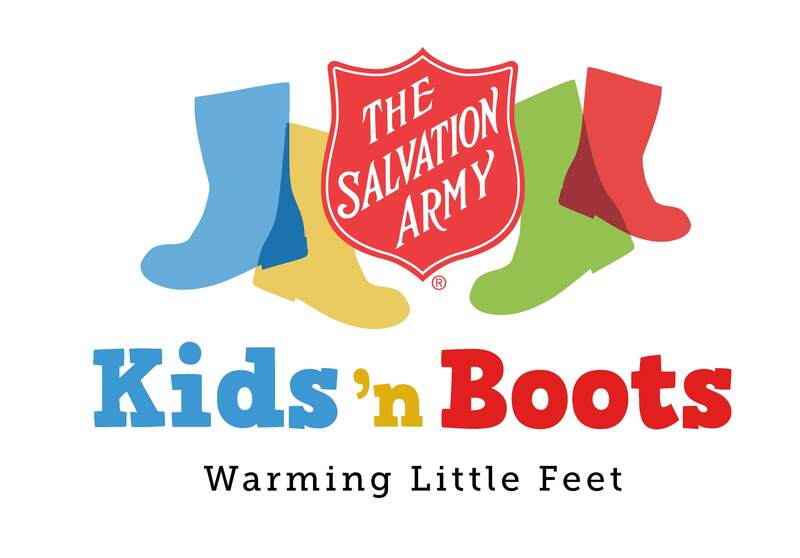 The Salvation Army needs your help make KIDS ‘n BOOTS a big success! KIDS 'n BOOTS is seeking donations of new and "like new" winter boots (all kids’ sizes) for families who may not be able to afford them. Any type of new winter boots for boys and girls, ages 2 to 18, is welcomed. 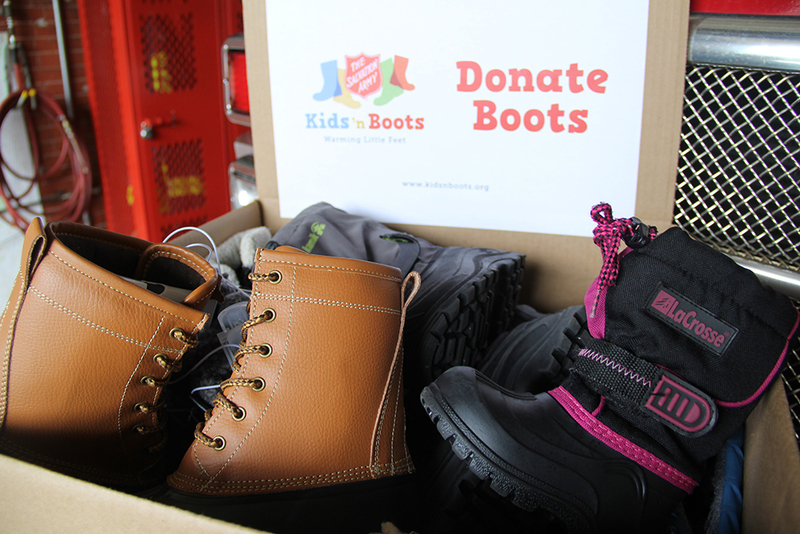 The Salvation Army will distribute the boots to families in need in time for the winter. -Or make a monetary donation to help us buy winter boots from local retailers... any amount helps! 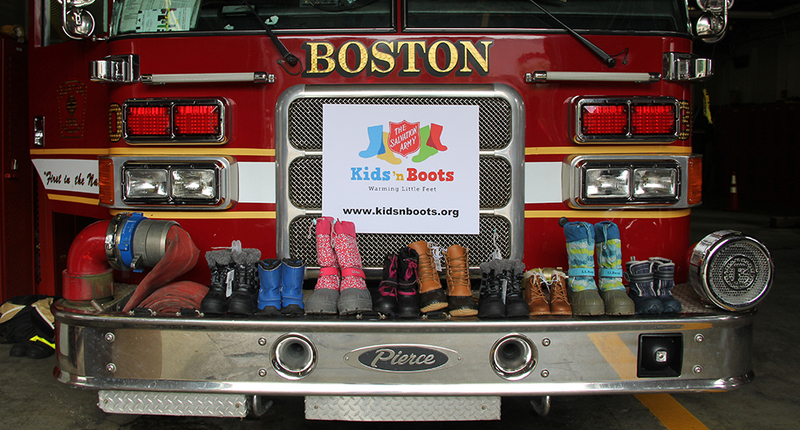 WCVB NewsCenter 5 Anchor Maria Stephanos, a longtime supporter of The Salvation Army, is serving as a celebrity spokesperson for the campaign and is helping to spread the word about Kids 'n Boots via social media. Thanks for helping us warm many little feet this winter! How did KIDS ‘n BOOTS start? This public-service project was started by the extended Matzell family (of MA, ME, and FL) in memory of Berniece “Boots” Matzell, a vibrant, caring mother who died at the age of 99 in December, 2015. A mother of four, grandmother of nine, and great grandmother of six, “Boots” got her nickname at a very young age when firemen put her into a huge pair of their boots while responding to a call at her family’s home. She was a person who always put others before herself, setting an example for her family by volunteering for many groups throughout her life, and, even at age 99, lived on her own and helped out at her local senior center to take care of people many years her junior. KIDS ‘n BOOTS will help keep Boots’ memory alive for years to come. The Matzell family and The Salvation Army thank you for donating!